I’ve said it before, but I’m gonna say it again, I love this time of year. From Halloween to New Years, there is just so much fun going on during these last few months of the year. November, in particular holds a special place in my heart. Not only is it the month of Thanksgiving but my birthday is this month too. November is also the month when it actually starts to feel like fall here in Texas. And I don’t know if it is because Thanksgiving is a time to stop and be grateful for all that I have. Or because of growing one year older and wiser too. Or because of the anticipation of a new fresh start with another birthday behind me or the new year on the horizon. But this really is a magical time of year! In years past, my birthday has typically fallen during the week of Thanksgiving, but this year my birthday is an entire week before Thanksgiving, meaning my birthday and Thanksgiving each get an entire week to shine! In anticipation (it is, after all, only two weeks away) of the BIG day (Thanksgiving, not my birthday, because really that doesn’t affect much of the rest of the world), I have a few Thanksgiving themed recipes headed your way! Most are Thanksgiving side dish or dessert recipes, but I do have a few cute holiday themed crafts and Thanksgiving leftover recipes in store too! First is a homemade version of a classic Thanksgiving condiment. 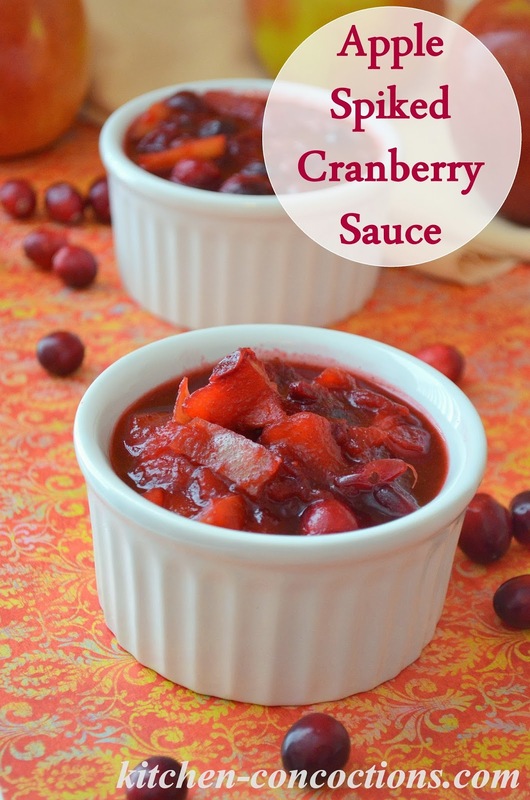 Last year I yelled loud and clear that you all needed to stop buying canned cranberry sauce, because making your own version is so incredibly easy and much more tasty. 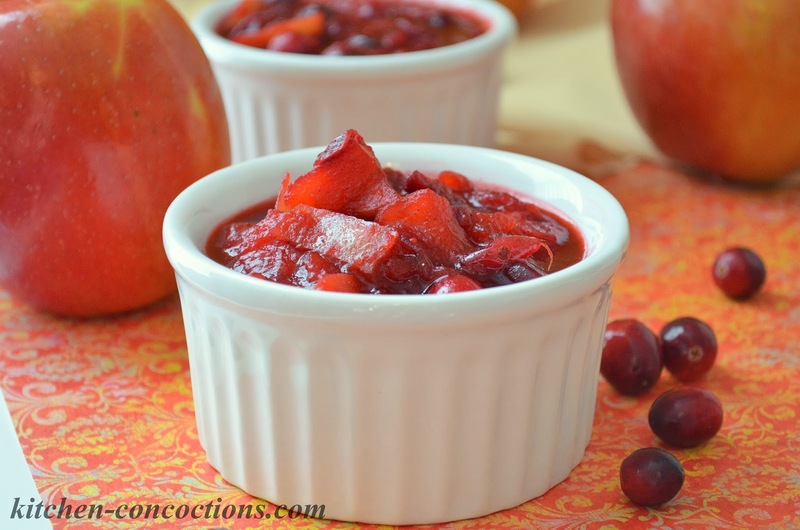 Last year I shared my Honey Maple Cranberry Sauce and this year I have another version with a fall twist. 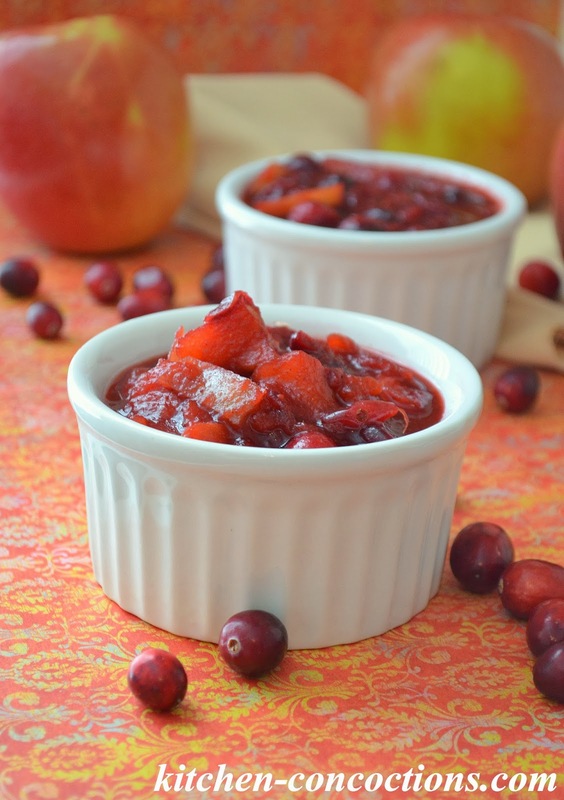 This Apple Spiked Cranberry Sauce, combines two popular fall fruits to make a fragrant, festive, and Thanksgiving worthy cranberry sauce that everyone will love! Bring to a boil and then reduce heat to a simmer. Simmer uncovered for 8-10 minutes, or until sauce is thickened and cranberries begin to burst. 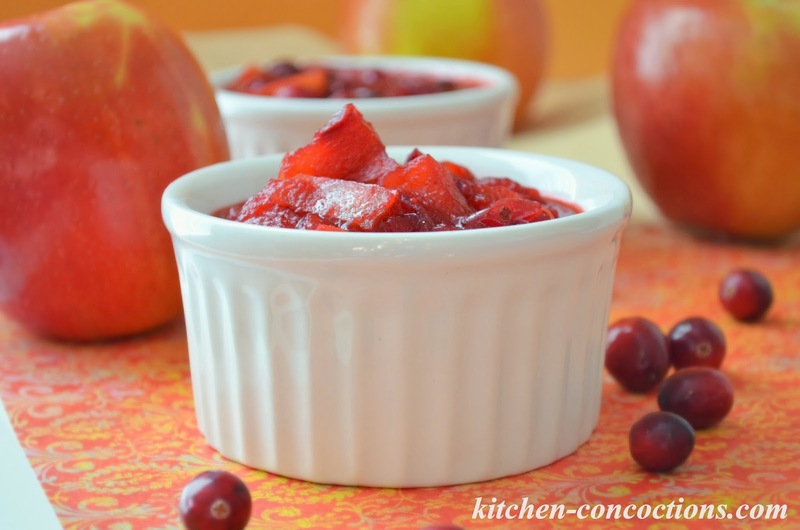 Remove from heat and use masher to mash cranberries and apples to desired thickness and texture or leave berries whole if desired. Note: This recipe can be made 24-48 hours in advance and refrigerated. Spices can be replaced with 1 ½ teaspoons apple pie spice.